The stem tuber of Alisma orientalis (Sam.) Juzep. of family Alismataceae. Fujian, Sichuan, and Jiangxi provinces, etc. Dug and collected in winter when the tuber and leaves become yellow. The one produced in Fujian and Jiangxi provinces called Jian Ze Xie, it is in good quality. The big, firm, white-yellow one with much powder is good. Sliced and unprocessed, or baked with bran or salty water. Sweet, bland, cold; kidney and bladder meridians entered. Induce diuresis and drain dampness, purge heat. It is bland in flavor and can drain dampness. It has a stronger action of inducing diuresis than Fu Ling, so it is usually indicated for water-damp syndrome, and combined with Fu Ling and Zhu Ling to mutually reinforce the action of inducing diuresis and draining dampness. For edema and dysuria due to water and damp retention, it is usually combined with Fu Ling, Zhu Ling, Gui Zhi and Bai Zhu. For instance, they are used together in Wu Ling San in Shang Han Lun. 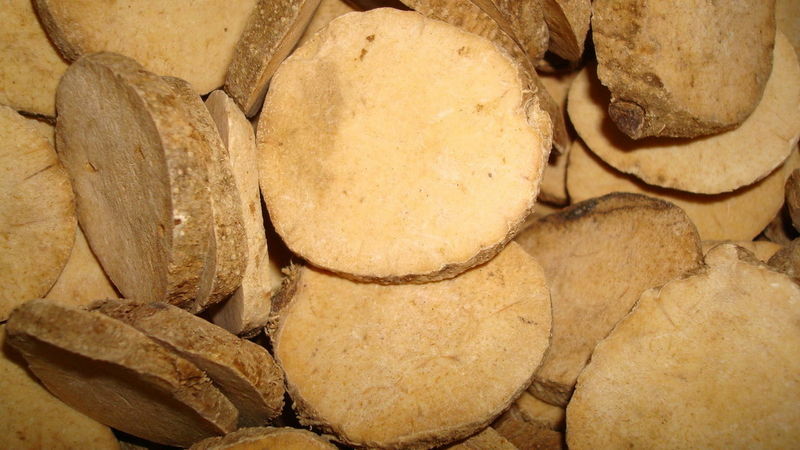 For edema and dysuria due to yin deficiency with heat, it is combined with Fu Ling, Zhu Ling and E Jiao. For instance, they are used together in Zhu Ling Tang in Shang Han Lun. 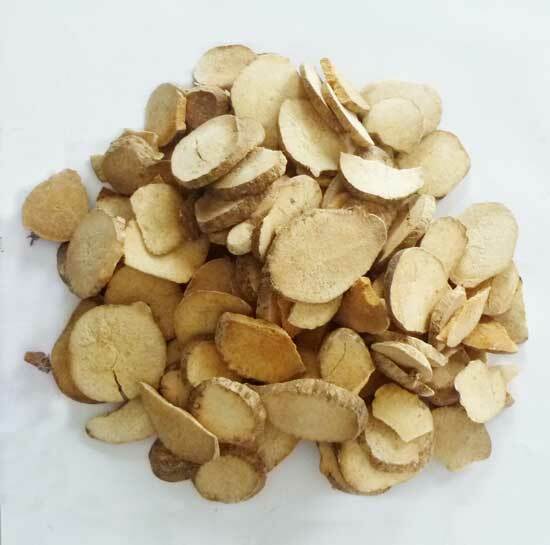 It has the actions of inducing diuresis and draining dampness, resolving phlegm-fluid, and is indicated for dizziness and vertigo due to phlegm-fluid retention and non-ascending of clear yang. It is usually combined with the dampness-draining or dampness-drying herbs. For instance, it is combined with Bai Zhu in Ze Xie Tang from Jin Kui Yao Lue. It can not only induce diuresis and drain dampness, but also clear bladder heat and purge kidney fire, and is indicated for damp-heat in lower energizer. For stranguria of damp-heat type manifested as scanty and dark urine, dribbling, difficult and painful urination, it is usually combined with Mu Tong and Che Qian Zi to mutually reinforce the actions of clearing heat to treat stranguria. It can also induce diuresis to make defecation forming, so it is usually indicated for diarrhea due to damp excess, It is usually combined with the spleen-invigorating, dampness-draining and diarrhea-checking herbs such as Fu Ling, Zhu Ling and Yi Yi Ren. 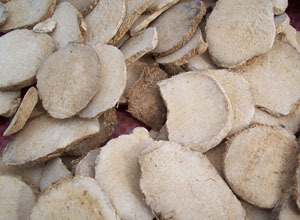 Additionally, it is usually used in the yin-nourishing formula to purge ministerial fire and protect yin. For seminal emission and tidal fever due to kidney yin deficiency and ministerial fire hyperactivity, it is usually combined with Shu Di Huang, Shan Zhu Yu and Shan Yao. For instance, they are used together in Liu Wei Di Huang Wan from Xiao Er Yao Zheng Zhi Jue.